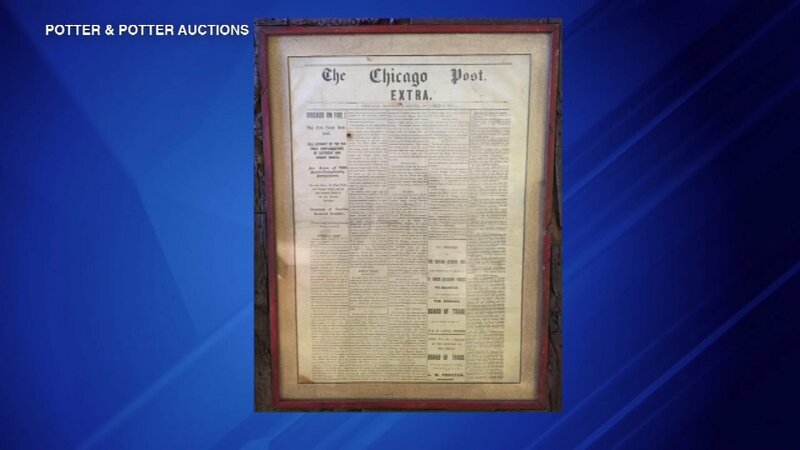 CHICAGO (WLS) -- Two rare pieces of history linked to the great Chicago Fire are going up for auction this weekend. One is a newspaper printed in 1871 by the Chicago Post one day after the catastrophe with headlines including, "Chicago is on Fire! ", "The Fire Fiend Rampant", and "An Area of 700 Acres Completely Devastated!" The newspaper is one of only two known copies to exist. The other item is an order issued by Chicago's mayor handing over control of the city to General Phil Sheridan. The items are expected to earn at least $10,000. The auction is Saturday at Potter and Potter auctions located at 3759 North Ravenswood Avenue.